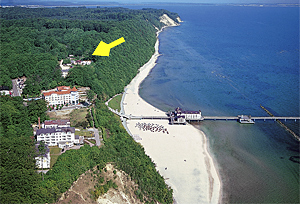 Holiday homes on the island of ruegen in the baltic resorts Sellin - "Dream of Sea"
The location of this house is really marvelously: directly on the high coast promenade of the baltic-resort Sellin, only a few steps to the famoust Pier of Sellin, and to the beach. 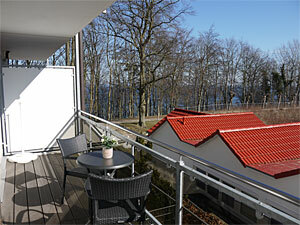 The flat "Meerestraum" is very sunny and has two balconies: 1 east-south-balcony where you could enjoy the morning sun, on the south-west-balcony your sundowner. 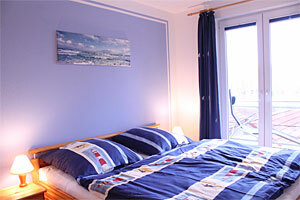 The comfortable 3-room-flat has enough space for 5 persons. Large living room with integrated built-in kitchen, 2 bedrooms and 1 bathroom. The high-quality kitchenette will satisfy with her excellent outfit also ambitiously cooks: cooking stove with multi functions (ceran (glass) cooktop, grill, baking oven) , toaster, electric kettle, coffee machine, dish washer as soon as plenty of dishes. Extra Fridge freezer in the cellar. Large french windows in 3 rooms suffuses the flat with light. 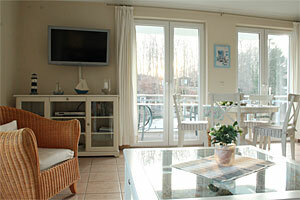 2 flat-screens, 1 Radio-CD-Player, WLAN/LAN, books, DVD's, games available. 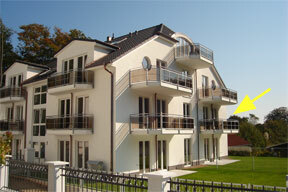 2 bed room with double-bed (1,80 x 2,00 m). 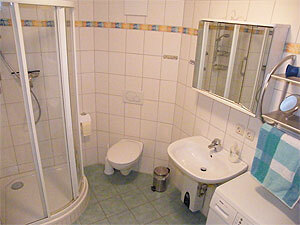 Bath tub, shower/WC and 1 washing machine. 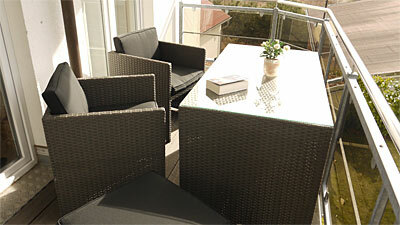 The balconies are equipped with chairs, tables, sun lounger and 1 parasol. 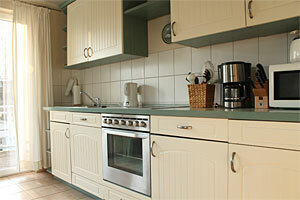 The holiday home is completely tiled and a non-smoker-flat! Farm animals are not allowed. Free parking place in the underground parking. 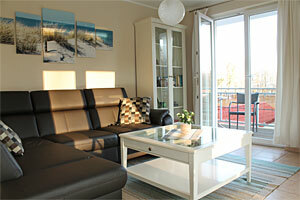 The house is close to the forest and the beach: 100 m distance to the famoust sea bridge with the main beach. In the Wilhelmstraße are a lot of restaurants and shops. 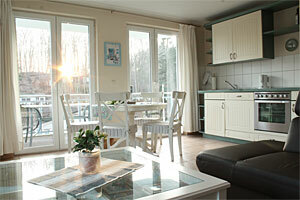 Supermarket, miniature golf, swimming bath you will find in the "Seepark Sellin" 800 m distance.